Boil the pasta in a large pot of salted water. Drain and rinse in cold water. Leave to cool. 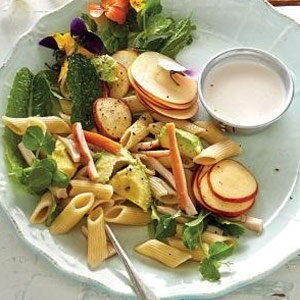 When the pasta is cooled, slice or cube the chicken, avocado and apple. Gently toss all the ingredients together, along with half of the dressing.